Product code: ES7776 Categories: Sold Items, Sold Rings. 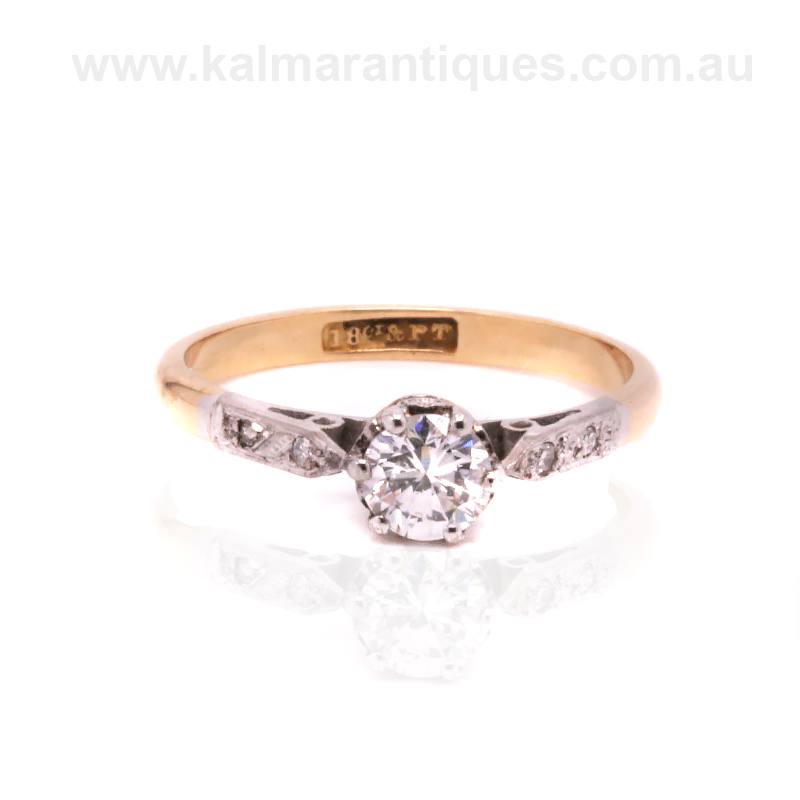 There is nothing more special than your engagement ring, and here is a lovely 18ct gold and platinum Art Deco diamond engagement ring that dates from the 1940’s and looks so elegant on the finger. All hand made with beautiful detail on the shoulders, in the centre is a lovely brilliant cut diamond that measures 0.42 carats and is F in colour and Si in clarity and is set in the pure white colour of platinum. And then on each side are two diamonds that accentuate to the ring as well as the design so beautifully. These additional diamonds total 0.04 carats and from where the diamonds start on one side across to the other, this distance measures 16.3mm by 5.2mm wide at the centre. 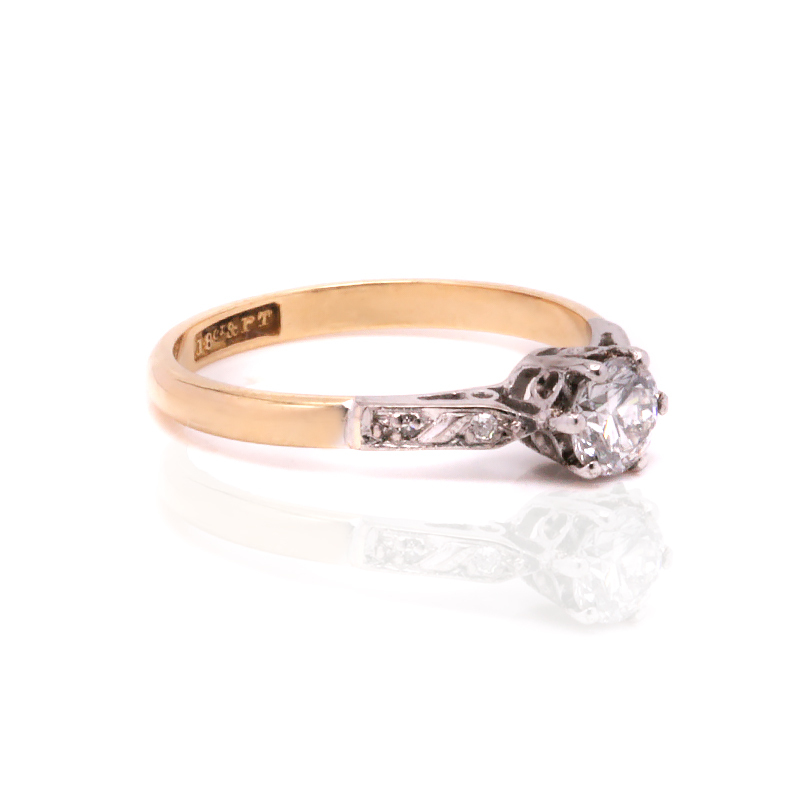 The Art Deco era is the most popular for engagement rings, and this one is just perfect.